To be truthful I hadn't planned on stopping at Quiltique. 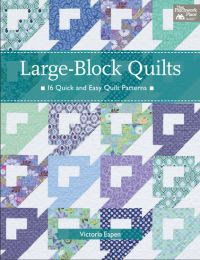 I didn't have a coupon and I had already been to 2 quiltshops yesterday. I was feeling curious/or fabric greed....not sure, it was one of the 2! So I jumped in the rental car and off to Henderson I went. 15 minutes later and I was there. Here was my view near Quiltique. A Walmart neighborhood market! I have never seen one of these before. Where I live, it is Super Walmart -- ONLY. So I HAD to snap a pic to prove they exist. Trully NOT that fascinating....except to me LOL. Anyhow, let's get to the wonderful things I found at the shop.......... It's Katie Jump Rope. I have been pining for this fabric at fatquartershop online. I thought I would hold out until I was back from Vegas before I bought it and low and behold.......they had it!!! Well, most of it...I haven't checked if there are any piecing in the line missing. Still it is beautiful happy fabric. And this quilt....my most treasured find at Quiltique. It is an Animas quilt called Harmony. I think In the Beginning Fabric line....not sure on that. All I know is that it was coming home with me. I just LOVE it... LOVE it....I am drooling looking at my pictures....I love it that much. Husband and I did a lot of walking and gaming and shopping. He snapped this pic of the Monster Poker Chip set and me. Yep that's me. He was fascinated by it. I think we stopped 3 times to look! The chips are about 5 inches in diameter and 1/2 inch thick. 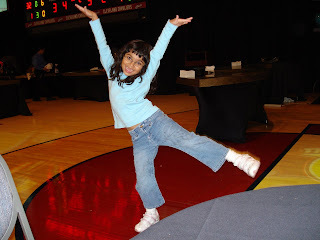 2 Vegas Quiltshops.....in 1 day!!!!!!!! woohooo JACKPOT!! My first stop was Nancy's Quilt Shop, it is featured as a top 10 quilt shop in Quilt Sampler Magazine. 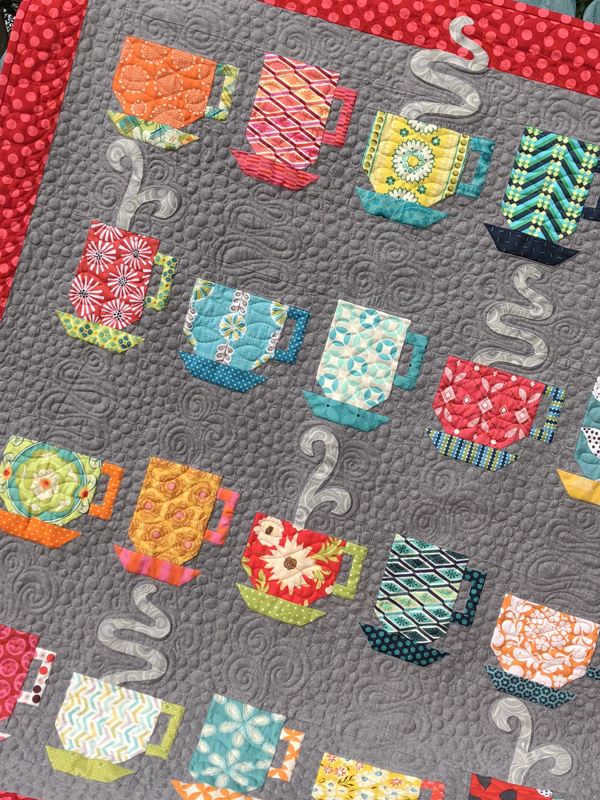 This shop puts any quilter on a 'fabric' high. I was overwhelmed when I walked in. Which area do I start with? There were thousands of bolts. This picture didn't turn out the great, it was near the 30's fabrics, my personal favorites. I need to learn to make better pics! I am putting it on my to do list. This shows more of the samples and yarn. Oh did mention they had yarn? Well I did pick up a new (to me) color of KPPM....that's Koigu for those that aren't knitters! haha. I am actually composing this at 2am by the way. My husband is snoring so loud that there is no chance I will sleep until he's awake! That is the only problem with vacations...where do I escape to? get another room?? Anyhow, from Nancy's I traveled on to here. Again the 30's fabrics! funny thing is, is that I didn't buy any. I bet you'd like to see what I bought! Yikes I could take pics....in the real morning, or wait until I get back home. Hmmm we'll see. Again I was faced with so many choices of fabric. I found some great patterns here and a new fabric line that was just unpacked. Today I am heading to the Christmas Goose and maybe another like Quiltique. Depends on traffic and my mood. Mood? about shopping for fabric? By the way, my husband said I could buy whatever I could fit in my suitcase!!!!!!!!!!!!! Yep for my birthday! I thought about this and realized that I have to drag the suitcase to the airport....and do I want to do this loaded with fabric? yes and no. 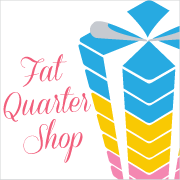 So I think I am going to fatquartershop.com and buying what I want there....having it shipped! I'm in and waiting for my partner to be named. 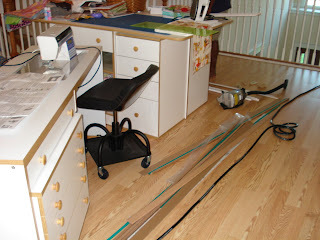 Sharon at the Red Geranium Cottage is hosting her first swap! 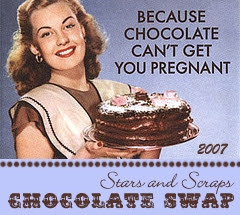 I have just the chocolate in mind too....now just to get a box and card together. Look at all these yummy fabrics. Actually I can finally see them! I will have to say that folding and organizing my fabric this way is awesome. I didn't know what I was missing. I also want to give some credit here. I initially became inspired to do this from Happy Zombie's blog. Her dear friend Karen of Anna Lena's Quilt Shop, has wonderful 30's fabrics, which I absolutely LOVE. I have over 1500...probably not even close to Karen's collection! 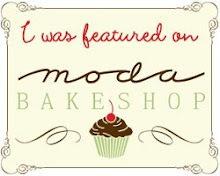 Anyhow...Thanks to Monica! Yeah it's that bad...and yeah I have A LOT of fabric! 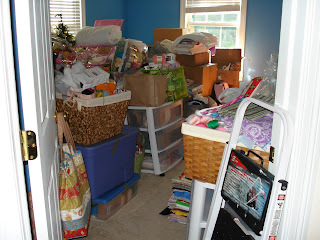 Let me clarify...not all the items in the 'blue' room are quilting or crafting related...just 90%. Now how am I going to fit all that fabric in my storage cabinets? I think I will need more....or perhaps purge some things. 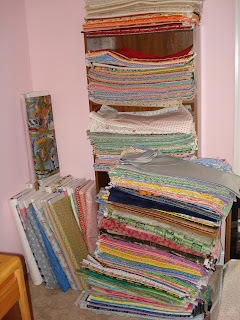 I have been sorting quilting magazines for the very purpose of purging. Make room for new ones! I should be working on my 'quilt loft' right now...... I think these pictures just guilted me into it!